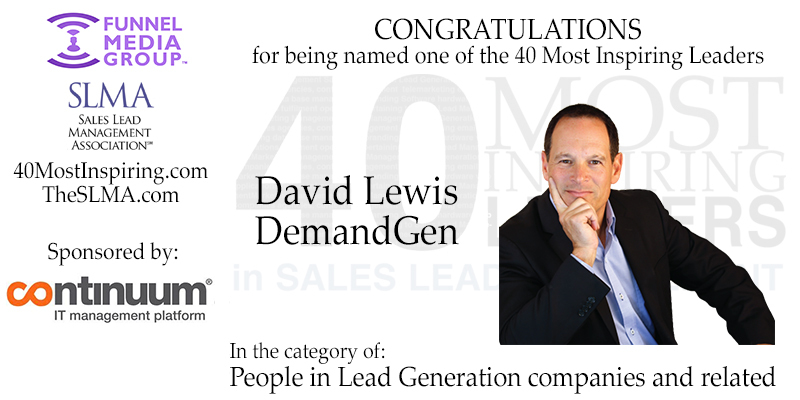 We’re proud to announce that DemandGen’s CEO David Lewis has been named one of the Top 40 Most Inspiring Leaders in Sales Lead Management. David has been an innovator in digital marketing and wrote a book on B2B lead management which is the #1 book on the topic with over 10,000 copies in circulation. 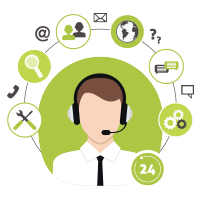 His intense passion for educating modern marketers on the methods for leveraging marketing technology comes from his belief that in the information age, marketing must (and can) matter most for driving growth. 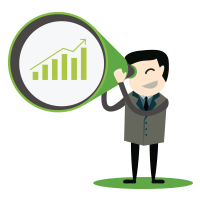 As CEO of DemandGen, he and his team have helped hundreds of the top sales and marketing teams around the world incorporate marketing technology to drive predictable and sustainable growth.